The new Full Shell walker II is an improved version of the popular DeRoyal Full Shell Walker. The frame has been redesigned featuring a wider space inside and a dual-chamber air system. The air chambers are placed on the medial and lateral side and can be inflated individually. This allows you to apply more compression to one side compared to the other if there is a need for more stability. The air chambers are easily adjusted on the outside of the shell where the pump is located. Deflation is made inte the same location. 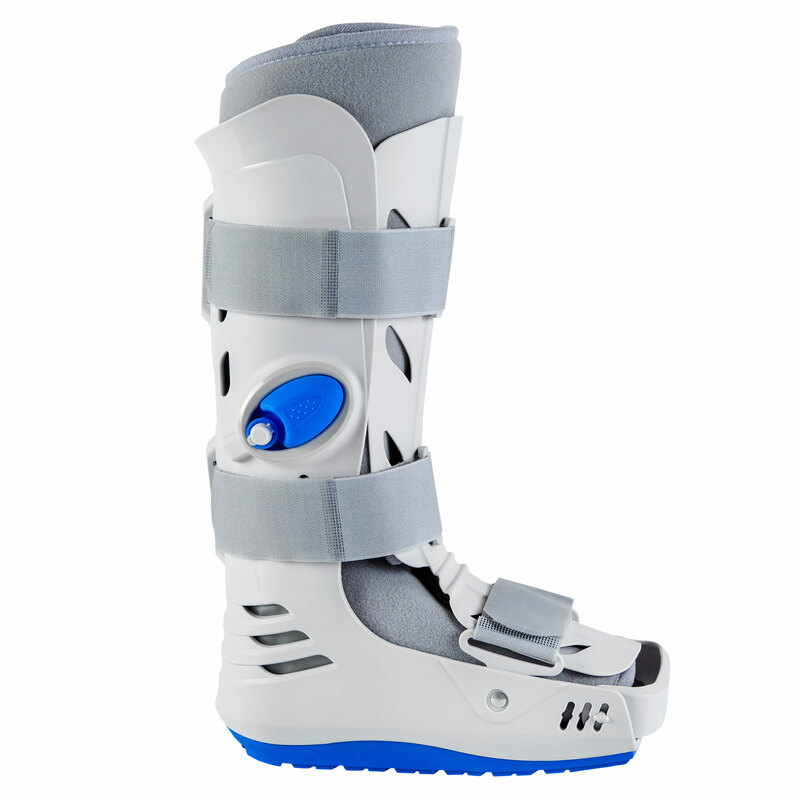 The Full Shell Walker II features three adjustable straps to provide compression and stability over the frame. The outer sole is a non-skid with a textured grip. The sole also features a light rocker sole for easy roll-off. The toes are protected by a unique toe-guard that can be adjusted individually. Post-op Achilles tendon repairs and fractures to the mid and fore foot.